In between tasting mediocrity and regret, you’ll be wishing that the dish actually lived up to its menu description. We feel you, and we’re here to stop that from happening again… at least at one venue. 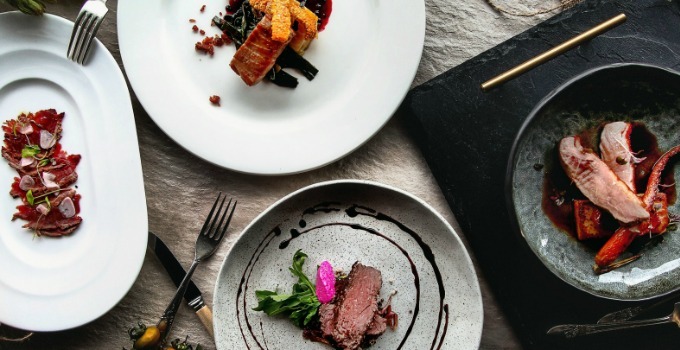 Perched just off Milton Road in Auchenflower, Deer Duck Bistro is the deer little solution to all your degustation woes. This unique experience proves that good things come in small (and spectacular) packages, by focusing on tantalisingly intense flavour combinations in smaller portions. Essentially, you get to eat more than one dish in public without feeling judged. Sign us up! Adding to the experience, each dish is beautifully presented – like a gastronomic art gallery you get to deconstruct and devour, bit by bit. Both the degustation and a la carte menus feature the same options, so if you genuinely feel like having just one dish, you can add it to your carte. Being the borderline professional eaters we are, we didn’t dare decline the degustation. Would it be a bit cliché of us to recommend the duck at Deer Duck Bistro? Well we’re going to anyway. 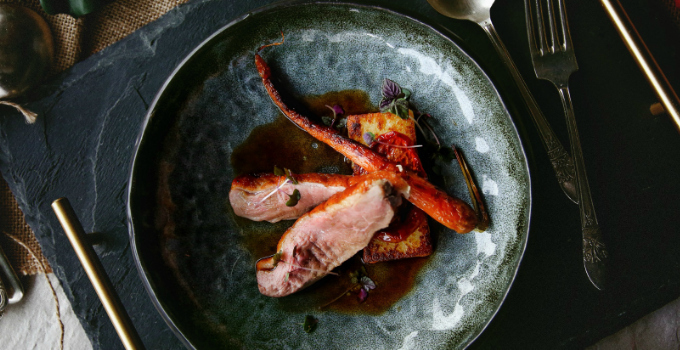 The sous-vide duck is served with Roman gnocchi, confit tomatoes and plum ju – that’s one tasty cliché. 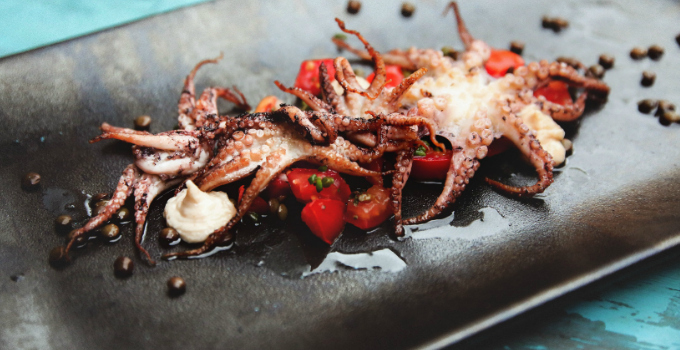 Deer Duck Bistro focuses on a range of meats, from kangaroo with charred radicchio, leek and candied walnut, to baby octopus with white bean puree, lentils and samphire vierge. If meat isn’t up your alley, the vegetarian options are equally tasty and plentiful – like the salad with puffed quinoa, pistachio, roasted pumpkin, beetroot and goats cheese. Yes please! Side note: smoking in the venue is not allowed, unless you’re the smoking dessert. This incredible chocolate torte is served with smoked guava semifreddo, macadamia sable and raspberry popping candy. And it’s every bit as exquisite as it looks! Oh deer… with so many beautiful flavour bombs on the menu, it’s still going to be tricky to choose. 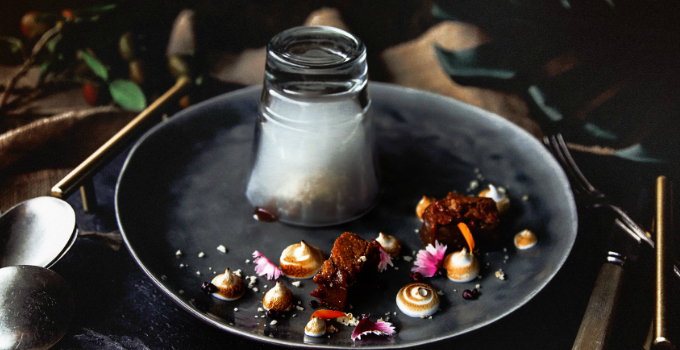 Deer Duck Bistro raises the bar on Brisbane’s dining scene – we just wish every art experience could be this delish.